Hunter-Kelsey helps Harris County residents pay their residential and commercial property taxes. We will quickly pay your taxes so you’ll no longer incur the large penalties, interest, and attorney collection fees charged by the county. If you find yourself needing help paying your property taxes due to any type of reason, or have any questions regarding property taxes, please call us at 866-PROP-TAX and one of our certified loan officers will be happy to assist you. To begin, all it takes is a quick 10-15 minute phone call to complete your loan application. Then we quickly produce your loan documents and have them delivered to you to sign by a mobile notary. Once signed we pay the county in full so you no longer are delinquent or incur extra costs with them. As a result, you’ll no longer worry about the charges that can add up to an extra 47% this year. In addition you won’t have to worry about a county lawsuit or a possible foreclosure. Harris County has some of the highest property tax rates in the country. As a result many Texans struggle to pay the high taxes every year. Don’t wait any longer. Give us a call at 866-PROP-TAX now to learn more about how a property tax loan can help you. Harris County is a county located in the southern part of Texas partly bordering on the Gulf of Mexico. It was founded in 1836, organized in 1837 and named for John Richardson Harris, an early settler of the area. According to the U.S. Census estimate, the 2015 population is 4,538,028. Between 2010 and 2015, Harris County’s population increased 10%, which is far higher than the national average. 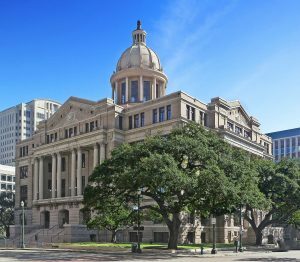 Harris County is the most populous county in Texas and the third-most populous county in the United States. Texas itself ranks number 6 out of the top ten highest tax rates with an average of 1.90 percent based on a median property tax paid on homes at $2,510 and a median home value of $132,000. The county’s seat is Houston which is the largest city in Texas and fourth-largest city in the United States. New Website Enhancement – eSubpoena rolled out to FREEfax County Criminal Courts at Law and District Criminal Courts. Click here for more information.